asimo, honda‘s famed humanoid robot, is no more. outside of PR engagements – something the adorable thing has become quite familiar with – it has been officially announced that production will cease. 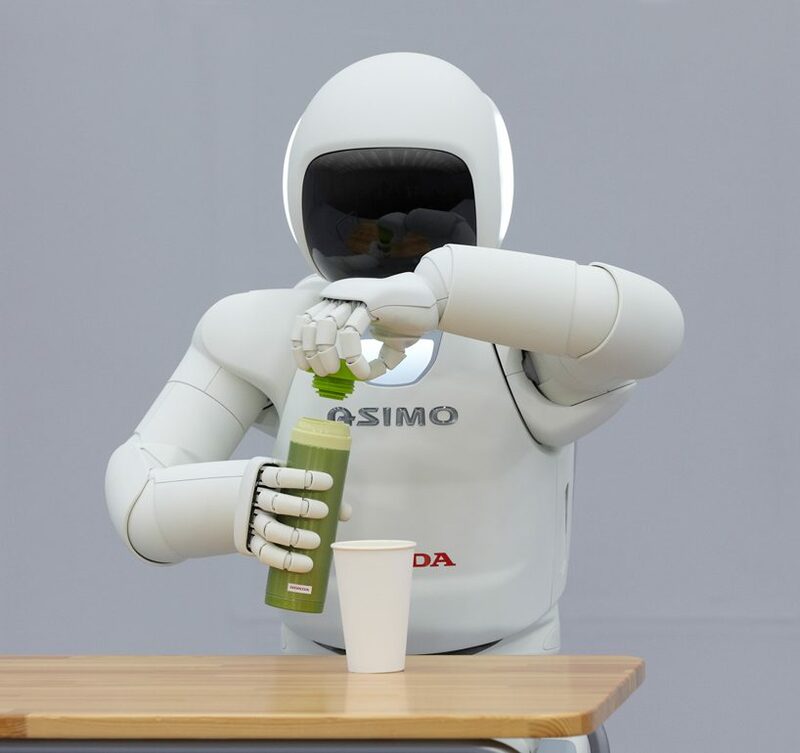 whilst having not received any big updates since its 2011 revision asimo has stayed very much in the spotlight, maintaining itself as an icon alongside models like sony’s original aibo dog which we said goodbye to in 2006 only to make way to a newer model last year. 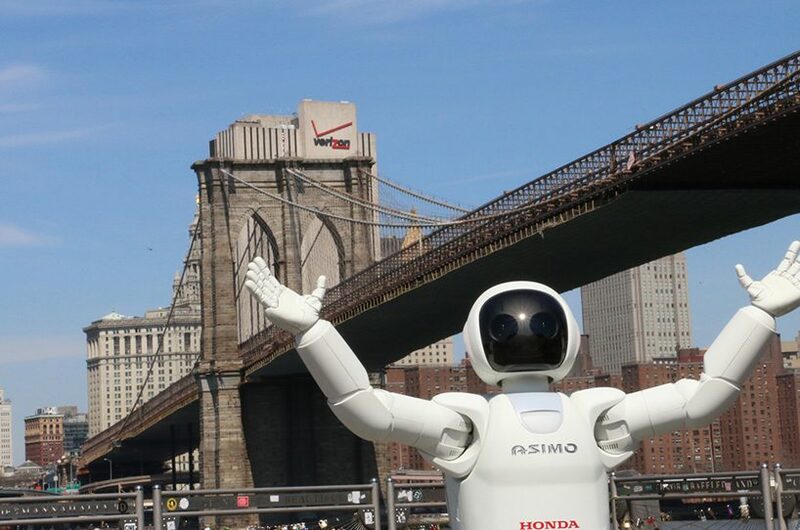 with that hope and the promise that the posterboy of bi-pedal robotics may still continue to appear in the public eye, we look back at some of asimo’s career highlights. work on asimo, whose name stands for advanced step in innovative mobility, began in the ‘80s taking over two decades before it was eventually unveiled in 2000. honda engineers began researching how humans walk, using the human skeleton for reference in locating the leg joints, the heel joint and the position of the toes, studying a range of movement and motion. in 1993, honda began developing ‘prototype’ models (‘P’ series), attaching the legs to a torso with arms that could perform basis tasks. by 1977, the P3 was introduced as the first completely independent bi-pedal humanoid walking robot, standing five feet, four inches tall and weighing 287 pounds. five years later, in 2002, a the 4 foot humanoid debuted in the US boasting the ability to wave, clap, shaking hands and even walk down stairs. a year later and ASIMO would be going to school as institutions across the country submitted essays in a bid to meet the humanoid. beyond education, robot fever sweeps hollywood as asimo makes his red carpet debut at the premier of robots: the movie, taking shots with several celebrities. 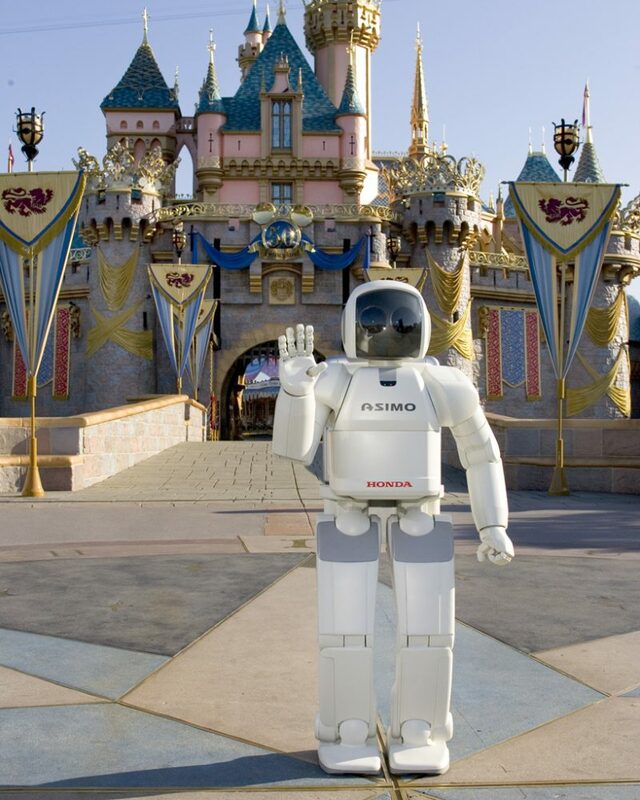 in the same year, mickey mouse welcomes asimo to the disneyland in an all-new live science show. 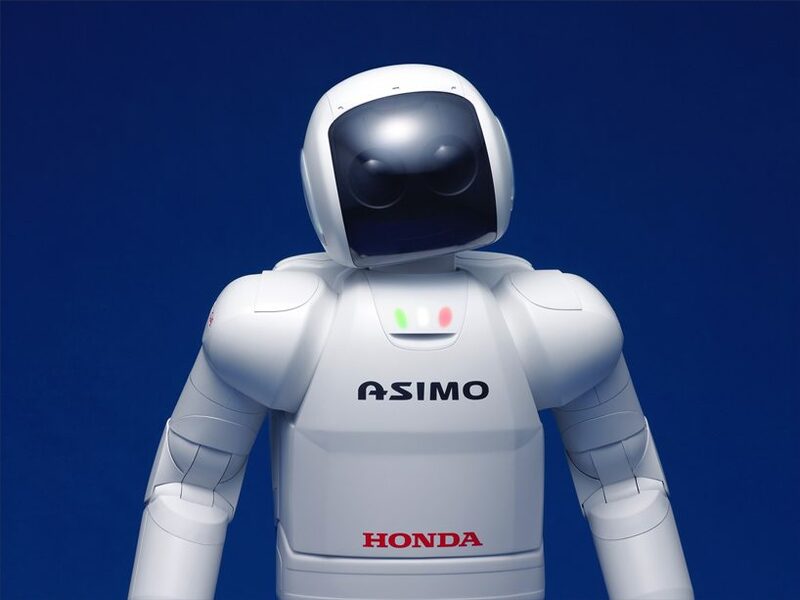 not only can asimo now run at 6km/hour, honda has given it the ability to pursue key tasks in a real-life environments. asimo can now act in sync with people, like walking with a person while holding their hands. a new function to carry objects using a cart is also added. this and a ‘total control system’ enables asimo to automatically perform tasks, giving it the potential of fulfilling the role of a receptionist, information guide or carry out delivery service. 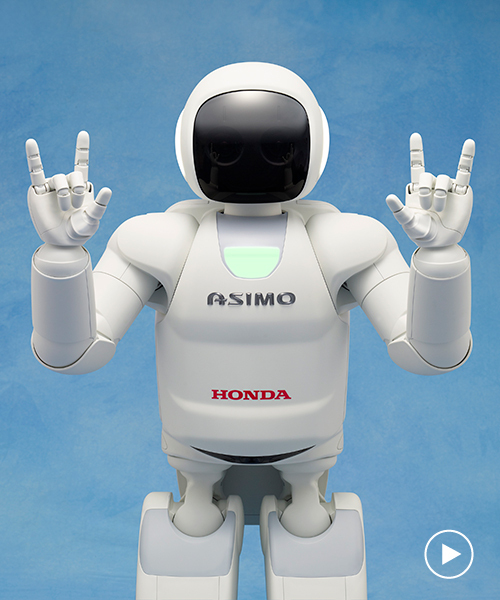 at this point however asimo has shown more value as a PR tool for honda. 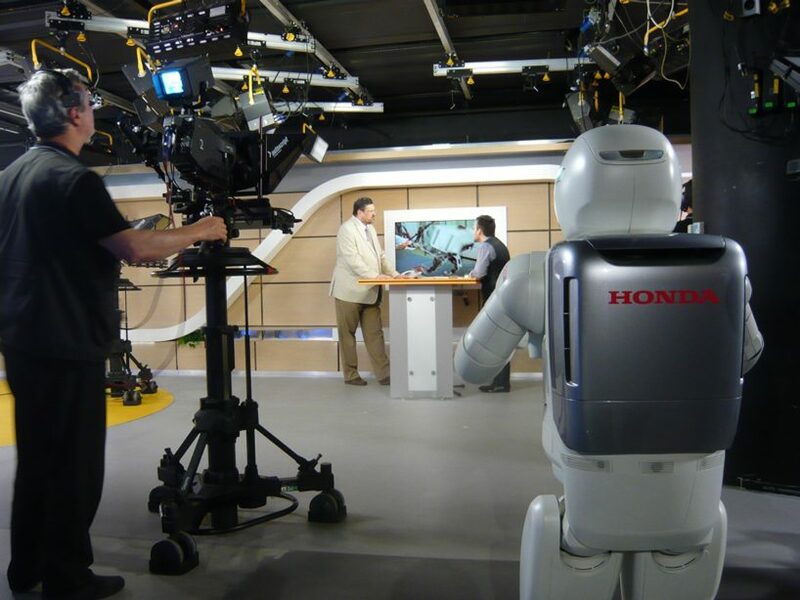 no stranger to the spotlight at this point, asimo lands a new role as an actor in TV docu-drama,‘update 2056: the world in 50 years’. the three part series projects onto the future of robots, putting asimo into a somewhat overstated role as local super-hero. sprinting is a little bit of an overstatement but asimo’s ability to run as a marker of its success continues into the late noughties. at the consumer electronics show in las vegas asimo incorporates several significant technological advancements including a streamlined new design, even more fluid and quick movements – he can now run at enarly 4mph. the running robot also has several other new mobility and artificial intelligence capabilities for enhanced human interaction. developments increase as an all-new ‘autonomous’ asimo with the ability to make independent decisions in concert with its surroundings. 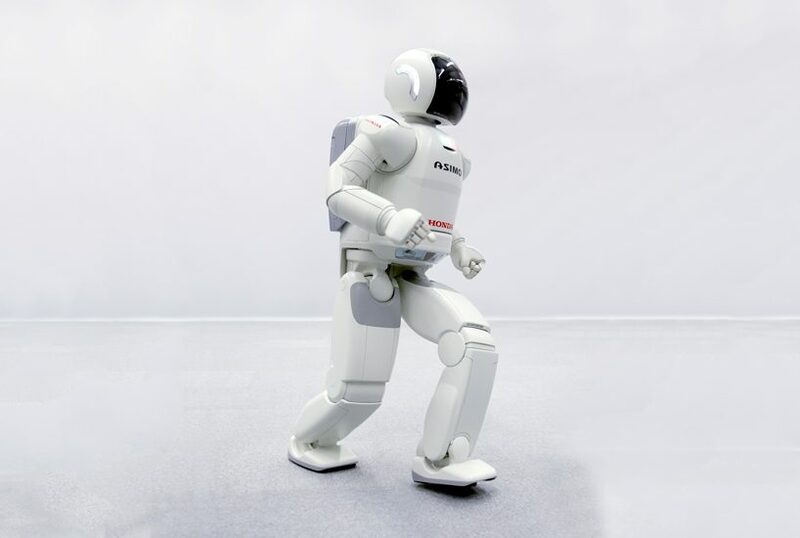 a kick out of its leg maintains a postural balance when needed, sensors monitor the movement of people in close proximity, and gathered infomration allows asimo to make predictions to determine its next behaviour. asimo rubbed shoulders with the american president at the time whilst he was on a state visit to japan. honda’s humanoid persuaded obama into a friendly kick around in a moment that demonstrated its application in leisure and entertainment. 2014 also marked a decade since its debut on american talkshow kelly & michael, this time wowing with its sign language abilities. 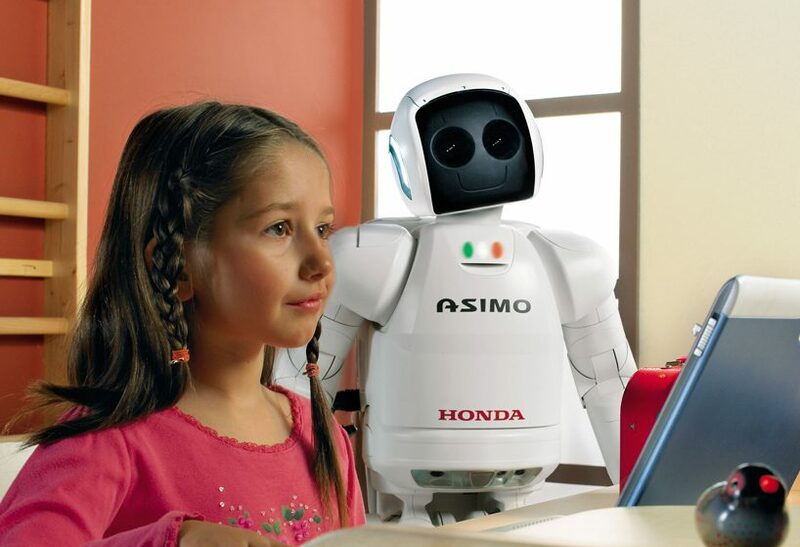 in the following years honda seems to take a break from developing asimo to fulfill worldwide engagements. 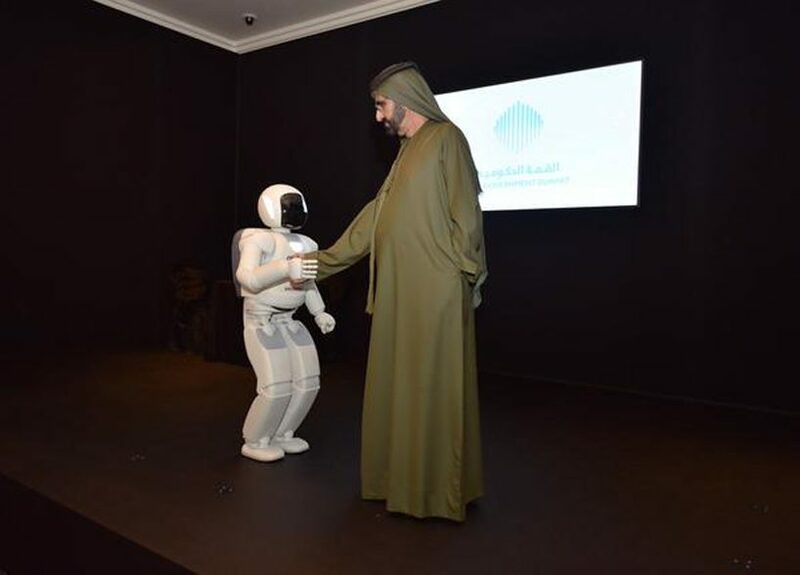 recieving a royal welcome in dubai, taking a trip to copenhagen, slovenia NYC and of course tokyo, the future of robot and human coexistence seems delayed in favour of a global PR tour. honda ends development of its bipedal asimo robot. 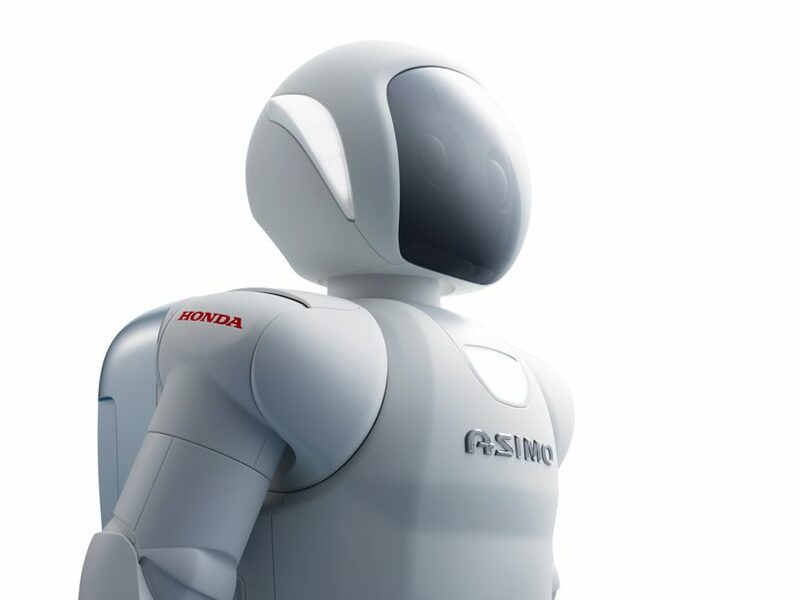 as far as what’s next for honda in robotics, the company announced its 3E (empower, experience, empathy) robots, which debuted at CES a few months ago, a hint perhaps of what it felt asimo could not fulfil.